Over the course of 35 years in one couple's shared life many things happen, from moments of absolute harmony to dramatic loss. For the most part, this couple cares for the common, daily life issues and joys that come with raising children, running a household, and running a business. 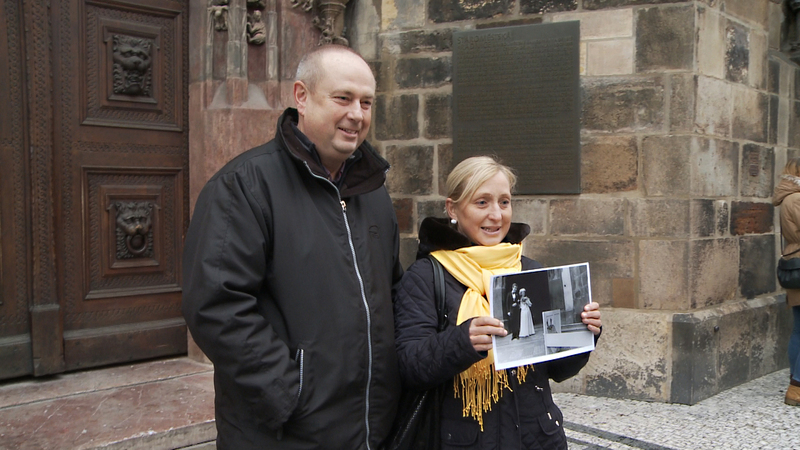 This is the life of furniture shop owners Ivana and Vaclav Strnadovi, whom director Helena Třestíková has followed since 1980 for The Marriage Story. Her feature documentary is linked to television films about the family, but includes new, shocking twists that life has brought to the couple and their children. One of the most important Czech documentary filmmakers, Helena Třeštíková has directed some forty films since graduating from Prague’s FAMU film school. Her latest trilogy of portraits (Marcela, René, Katka), shot in the late 2000s, brought her international attention. Masterpieces of editing, the three films confirm the filmmaker’s deftness at transforming the humdrum existence of the downtrodden into unique, fascinating narratives.